The application of Clean Production (CP) and Lean Thinking had been explored to reduce the environmental impacts of fish canning processes. An industry-wide survey was conducted to access the current system architecture of the fish canning companies in terms of their environmental practices and lean tools used. By conducting a case study, the CP assessment identified the overall and per operation waste in the fish canning process where material balances showed five (5) main waste streams. A comprehensive set of CP options were proposed to eliminate the waste streams. 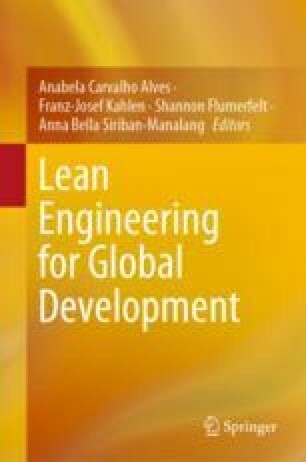 To solve the production waste while managing the problem of decreasing raw fish supply and increasing tin can prices, lean engineering was conducted. The cleaner production assessment identified the overall and per operation waste in the fish canning process. Major environmental wastes identified include water, tin cans, fish meat, and energy. Moreover, non-value adding wastes surfaced in the lean production assessment are overproduction, waiting, transportation, and inventory. Proposed solutions were analyzed through a cost and benefit analysis. Results show that implementing clean and lean technologies can provide the company good benefits. There is evidence to show that the implementation of clean and lean technologies will greatly reduce the environmental impact of the fish canning industry. Chatfield, M. M. (n.d.). Self-directed and self-managed teams. Retrieved September 7, 2004, from http://irism.com/selfteam.htm. Food and Agriculture Organization of United Nations. (2001). Production, accessibility, marketing and consumption patterns of freshwater aquaculture products in Asia: A cross-country comparison. Retrieved July 10, 2009, from http://www.fao.org/DOCREP/004/Y2876E/y2876e19.htm#TopOfPage. Food and Agriculture Organization of United Nations. (2009). Handling fish before canning. Retrieved March 30, 2009, from http://www.fao.org/wairdocs/tan/x5921E/x5921e01.htm. United Nations. (2015). Sustainable development goals. Retrieved August 12, 2018, from https://www.un.org/sustainabledevelopment/sustainable-consumption-production/.